Gamasutra - In-Depth: No Female Heroes At Activision? In-Depth: No Female Heroes At Activision? Games with female leads don't sell. At least that's what Activision believes, looking at top software sellers in any given year for evidence and choosing only projects that go with the trend, sources claim. In 2007, we're told the publisher even went so far as to change the protagonist in a new concept -- the project that would become True Crime 3 -- from a female to a male, on the rationale that the female wouldn't move software units. Numerous former employees of the company's studios tell Gamasutra that Activision relies on focus tests to a contentious extent -- and the result is that according to our research, the only titles published by Activision since 2005 that feature female leads are licenses, like Barbie and Dora. When the third installment in Luxoflux's True Crime series was first conceived at Treyarch it wasn't intended to be part of that franchise at all. Instead, it was first pitched as an entirely different project: 'Black Lotus', inspired by Hong Kong action-cinema and featuring an Asian female assassin as the player character (for evidence, check the LinkedIn profile of former EP Chris Archer, who lists "Black Lotus (Canceled - Reformed as True Crime: Hong Kong" among his professional credits). One individual, a former employee, tells us that the original concept for Black Lotus' protagonist had been modeled on actress Lucy Liu, whose action-heroine roles in films like Charlie's Angels and Kill Bill formed the basic inspiration. "Black Lotus was a great project internally," says the source. "We were all very proud of what we were trying to make and the team was excited. We made great progress." But 2007 was a year when the top sellers on Xbox 360 and PlayStation 3 included Halo 3, Call of Duty: Modern Warfare, Assassin's Creed and Madden NFL -- and the conclusion Activision took from that was that there was no room on the market for games starring a female main character. Another former employee with knowledge of the situation explains: "We were all on board, and then Activision killed it, said they don't do female characters because they don't sell." "Activision gave us specific direction to lose the chick," says the other source plainly. The project was ultimately resurrected as True Crime: Hong Kong, and found a home at United Front games. There, it has a far different shape; it might as well be a new project. But its past life as Treyarch's much-loved Black Lotus is an important example of how Activision's strong idea of a focus testing-driven "formula" for top-selling games frustrates its studios and hampers creativity, the sources say. It's important to stress that many publishers use focus testing and market trends to try to predict what will sell, and to some extent the design follows. However, our sources contend that Activision corporate routinely takes this methodology to extremes, making the pioneering of new ideas difficult -- and, some believe, at the expense of not only innovation, but overall quality, as developers get instructions to re-work projects mid-stream to keep pace with checklists of gameplay trends, even against the better judgment of the design teams. We're told to credit Singularity's mixed critical reception in part to such challenges, for example. And when it comes to Black Lotus, the sources say the decision to re-brand the concept as the next True Crime franchise title was "pushed" on the team, which was not eager to follow up the unsuccessful True Crime: New York. "Activision has no room for 'we are making an open-world game with a Hong Kong action movie feel with a female lead,' because that game doesn't exist right now," says one source. "What they do have room for is, 'we are making an open-world game with a gangster main character who can steal cars and shoot people, but it will be in Hong Kong instead of Liberty City. And then they go, 'Hey, GTA IV sold 10 million copies, so that's what we expect from you.'" Look to that methodology to explain why all of Activision's flagship properties are male-led, says the source: "If Activision does not see a female lead in the top five games that year, they will not have a female lead," says the other source. "And the people that don't want a female lead will look at games like Wet and Bayonetta and use them as 'statistics' to 'prove' that female leads don't move mass units." But aside from pragmatic if strict business logic, studio sources claim there's a culture of "preconceived notions" within Activision against which the design expertise of its leads can't make headway -- and that the focus testing is angled to support. "Most of the focus tests that I have seen run at Activision are very questionable," says one source, an assertion with which the other sources agreed. "If someone from publishing has a point to prove or can't get an idea in the game, the focus test questions are skewed, and the Activision feedback is skewed in their favor," he says. So, the sources say, even if there was evidence to support positive focus-test response to a female lead character, ultimately that might not convince the publisher -- unless there was an environment where a game led by a female heroine triumphed at retail. As the game industry goes mainstream and AAA console headlines gain more mass-media mindshare thanks to the big dollars it's able to pull down around launches like Modern Warfare 2, consumers and developers alike frequently question the dominance of masculine heroes and discuss the difficulty of attracting women to the medium both as players and designers. At the Game Developers Conference earlier this year, designer Manveer Heir, researcher Mia Consalvo, and journalists Jamin Brophy-Warren and Leigh Alexander (the latter is the author of this article) hosted a panel on the importance of diversity in games. Heir is now a senior level designer at BioWare Montreal, but presented the panel as a lead designer at Raven Software, an Activision studio. He spoke to Gamasutra solely regarding his panel and declined any comment on his former employer or its process, but says he passionately believes that offering gamers alternatives to white, masculine protagonists is important to the industry. As a designer, the current paradigm is "no longer interesting to me," he says. "In order for players to have new experiences in games we cannot rely purely on better graphics, better writing, and more cinematics. We need to be willing to thrust players into new and different situations, from a fragile boy searching for his sister in Limbo to an African-American man trying to prove his innocence during the Civil Rights movement." "From there, we can derive new gameplay mechanics, new aesthetics for the audio and visuals, and more," adds Heir. "This is a clear way to start expanding our industry and letting players have new, unique experiences." Characters like Tomb Raider's Lara Croft -- who's received modifications in recent years to show more spine than skin -- and Metroid's iconic Samus would seem to challenge the assertion that strong female heroes are not marketable. Audiences embraced Mirror's Edge tough-girl Faith, around whom EA's made no secret it plans to build a franchise, after the game's below-target sales numbers were chalked up to design issues and poor release timing, not the heroine. And though Portal's first-person mechanics emphasize the game's interface and not its jumpsuited leading woman Chell, the Valve team went one step further with GLaDOS, the female-voiced AI whose villainy stemmed from maternal instincts gone twisted. Now GLaDOS is on the fast track to becoming one of gaming's most beloved characters, and the overwhelming reception for Portal's originality -- plus major anticipation for the sequel -- demonstrate that "females don't sell" could indeed be false logic. "I want to write more female leads, I can tell you that," tweeted Tom Abernathy, who's been writing for games for a variety of companies, including Activision, since 1997. And there's plenty of evidence to suggest that that's what gamers want, too. An informal poll of gamers on Twitter hardly showed a preference for male leads. While many said the gender of their hero doesn't matter "as long as it's a fit" for the game's story, or as long as the hero "is well characterized", more respondents actually expressed a preference for female leads (with one common caveat: "as long as it's a real woman and not a seventh-grader's fantasy") and complained about the lack of diversity in games -- suggesting at a glance, at least, that there's a market opportunity for a strong heroine, not a net negative. "Any given action hero being male is okay, but 80 percent of them being male in aggregate is not," said one respondent. 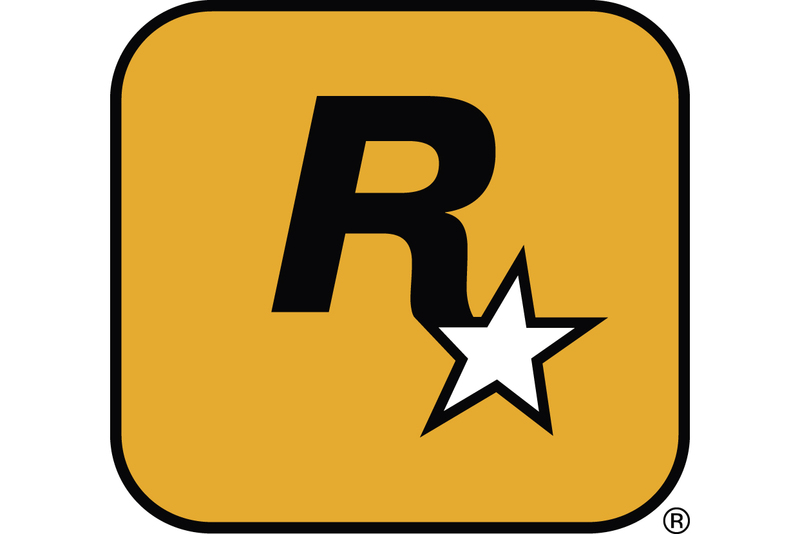 Said another: "In particular, I'd love to see Rockstar build a game around a female character, especially GTA." Perhaps Rockstar will have to before Activision, at least, follows suit. After all, our sources claim True Crime: New York had a white male cop -- not a black male gangster -- in the lead role until the success of Grand Theft Auto: San Andreas prompted another mid-stream switch-up. However, when contacted for comment on this article, Activision explicitly denied the assertions of the multiple sources cited on this piece. "Activision respects the creative vision of its development teams," said the company in a statement. "The company does not have a policy of telling its studios what game content they can develop, nor has the company told any of its studios that they cannot develop games with female lead characters." The company also denies that developers received specific gender instructions related to True Crime: Hong Kong -- but did not note Treyarch or the original Black Lotus project. Nonetheless, it asserts its use of focus testing is within the natural parameters used elsewhere in the industry: "With respect to True Crime: Hong Kong, Activision did not mandate the gender of the lead character," it says. "Like all other game and media companies, Activision uses market research in order to better understand [what] gamers are looking for."